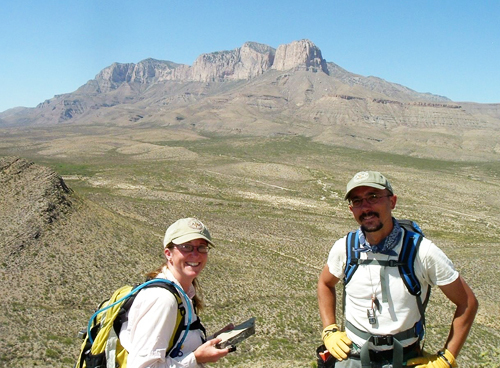 TEXAS A&M (US) — Rocks from the fossil Permian Reef in the Guadalupe Mountains of West Texas are offering clues about changes in sea level and marine life 265 million years ago. The findings of two new studies, published in the journals Proceedings of the Royal Society B and Palaios, reveal effects of environmental change on living systems and provide insight on the distribution of hydrocarbon reservoirs in the Permian Basin, one of the largest petroleum provinces in the U.S.
Much like Australia’s Great Barrier Reef, which stretches more than 1,600 miles and is so large it can be seen from space, the Permian Reef grew in shallow tropical waters 265 million years ago. “The ancient reef grew in water just below sea level and overlooked the Permian Basin, which was more than 1,000 feet deep,” says Thomas Olszewski, associate professor of geology and geophysics at Texas A&M University. Rocks can show a record of past events in Earth history, and in the Permian Reef geologists can see evidence for numerous rises and falls of sea level, Olszewski says. “Living organisms tend to be very sensitive to changes in their environment, and by examining the reef’s fossil ecosystem, it is possible to piece together the way they changed over the millions of years it took for the sediments to accumulate. “From the fossils preserved in these rock layers, we can get a good idea of how the ecosystems responded to environmental changes over millions of years. “The Permian Reef community was probably highly competitive and was not vulnerable to invasion by exotic species except in the aftermath of major sea level drops, when the system was disrupted. The project was funded by the Petroleum Research Fund of the American Chemical Society and was made possible by cooperation of Guadalupe Mountains National Park officials.